If you’ve never been to Greece, chances are the first stop on your tour is Athens. 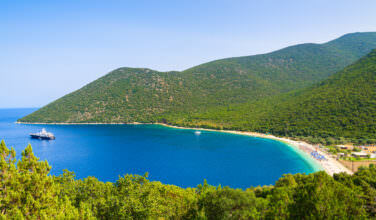 As one of the oldest cities in the Western World, Greece is bursting with history. You’re as likely to encounter thousand-year-old ruins walking down the street as you are high-end restaurants and modern art galleries. If you are a history or culture aficionado, Athens has everything you could ever want! Throw in a stopover for some beach time in Santorini and you’re all set, right? But there is so much more to Greece than just Athens and Santorini, the famous islands with pristine water and whitewashed churches. Just a few hundred miles north of Athens is Thessaloniki, a city that is well worth adding to your itinerary! National Geographic Magazine declared that Thessaloniki was one of their top 20 trips for 2013 and is the 2014 European Youth Capital. In 2010, Lonely Planet ranked Thessaloniki, Greece as the world’s fifth-best party city worldwide, standing along international party hotspots such as Dubai and Montreal. 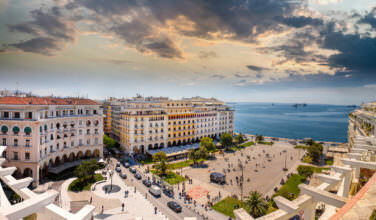 In fact, Thessaloniki has the most cafe’s and bars per-capita than any other city in Europe! And in 2014 Financial Times’ FDI magazine (Foreign Direct Investments) declared Thessaloniki as the best mid-sized European city of the future for human capital and lifestyle. 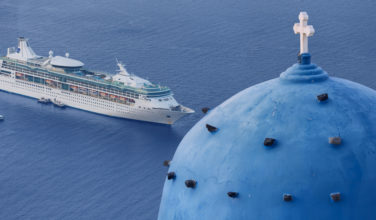 With that many accolades how could you possibly not make time for a trip to this Grecian gem. 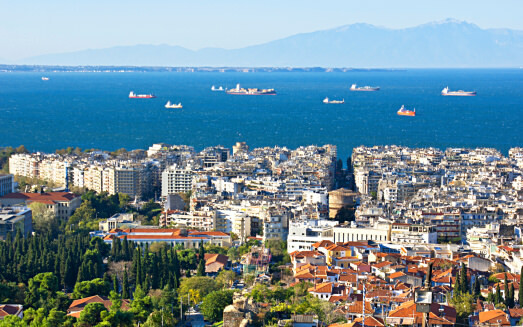 As Greece’s second largest city, Thessaloniki is also the regional capital of Greek Macedonia. Once upon a time it was the second most powerful city in the Byzantine Empire, considered a “co-reigning” city of alongside Constantinople (modern Istabul). Thessaloniki rose to economic prominence as a major economic hub in the Balkans during the Roman Empire and has remained a major international trade center ever since. Thessaloniki is also regarded current cultural capital of the country. Renowned for its major shopping streets, Tsimiski Street and Proxenou Koromila avenue are the city’s versions of Rodeo Drive, 5th Avenue, or Newbury Street here in Boston! 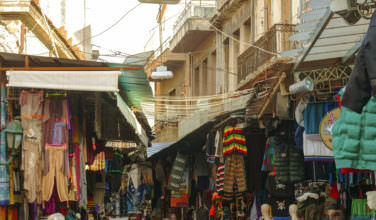 Tsimiski Street was named after the Byzantine Emperor, Ioannis Tzimiskis and is home to hundreds of fashion stores, boutiques, high-end international department stores and Fokas, the biggest Greek department store. The city’s two most famous museums are the Archaeological Museum of Thessaloniki and the Museum of Byzantine Culture. The Archaeological Museum of Thessaloniki houses artifacts from the long history of the city, including the Archaic, Classical, Hellenistic and Roman periods. There is also an extensive permanent collection of gold artwork from former royal palaces and multiple exhibits come through the museum each year. The Museum of Byzantine Culture was awarded Council of Europe’s museum prize in 2005. The museum currently has three permanent exhibitions. The first focuses on the design and decoration of churches in early centuries of Christianity. After Emperor Constantine made Christianity the religion of his empire, worship of the classic Greek gods began to fade. The second is about the economic life, domestic handicrafts, houses, and food and clothing of early Christians, and the third exhibit focuses on cemeteries of early Christians, their jewelry, sepulchral architecture and painting, cult customs, and clay and glass objects. The Thessaloniki Science Center and Technology Museum is one of the more high-tech museums in Greece and southeastern Europe and features the largest planetarium as well as flat screen in all of Greece. The Thessaloniki International Film Festival is one of the most important film festivals in Southern Europe. The Thessaloniki International Trade Fair is where the current Prime Minister sets out the administration’s policies for each coming year, making it one of the most important festivals for the country each year.